It’s been 5 years since I published my book which was a labor of love! During it’s debut, I gave away 10,429 free ebooks in 3 days. On this anniversary, I again would like to give away copies and I am asking only for you to pay shipping and handling costs. While the book was written in 2013, the stories of the people featured are still relevant, instructional and inspiring. 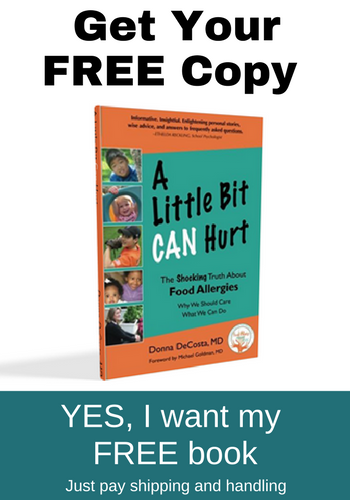 In this book I, Dr. Donna DeCosta, took a comprehensive look at the food allergy experience from both personal and professional perspectives. 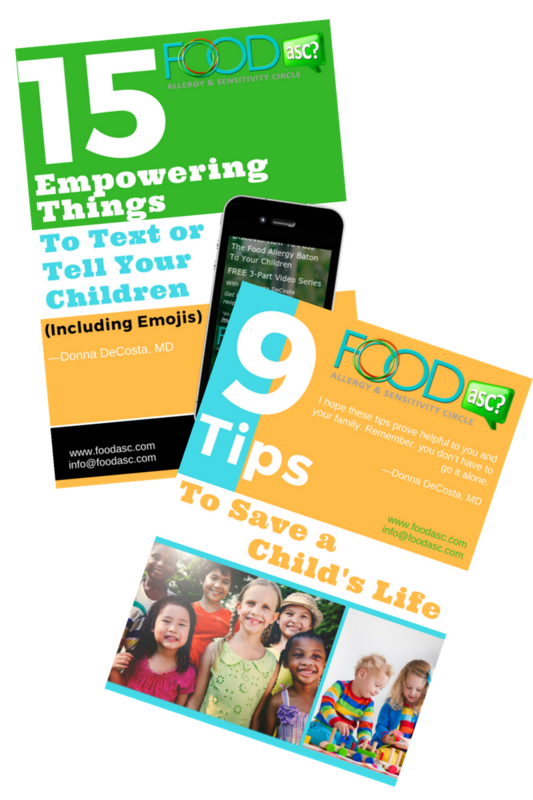 A Little Bit CAN Hurt ­underscores the dual message that food allergies are life threatening but also ­manageable. It recounts the very personal narratives of those living with food ­allergies, both directly and indirectly, and ­tenderly reveals the beloved face of your food allergic child, student, patient, spouse or friend. In addition, learn from professionals whose jobs involve the daily care and keeping of food-allergic individuals. 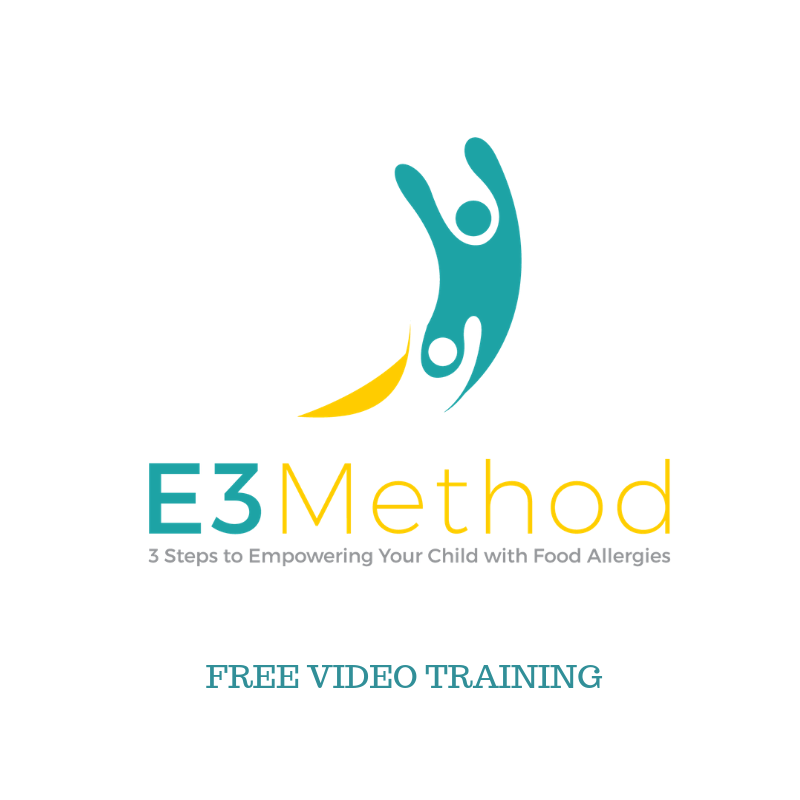 Hear from prominent voices in the food allergy community as well as educators, dieticians and food industry professionals! CLICK HERE to claim your free copy. Just pay shipping and handling. A Little Bit CAN Hurt retails for $16.95 plus S&H, but I’ve decided to GIVE you a copy! (Limit one per customer). All I ask is that you cover shipping & handling (just $4.95 any where in the USA). Your information remains private and will not be shared. See what parents, physicians and authors are saying about A Little Bit CAN Hurt. Kudos to Dr. DeCosta for collecting and curating these real-world success stories that show how families touched by food allergies can take responsibiity for their good health. Dr. Decosta’s passionate vision and pragmatic wisdom, plus the fact that she’s ­speaking from experience, make her a powerful, proactive advocate. ~ Sam Horn, author of Tongue Fu! and What’s Holding You Back? 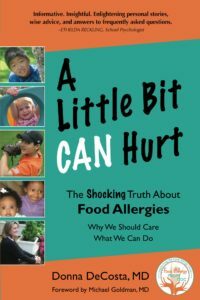 As a pediatrician and parent of children with food allergies… I highly ­recommend this book as a great resource for families as they learn how to deal with food ­allergies in both the home and school environments. You need this book if you or anyone you know/institution has or deals with a food allergy!